Dies R Us: Love You to the Moon and Back! I've been missing from social media lately - it's just been too nice out to stay cooped up inside! 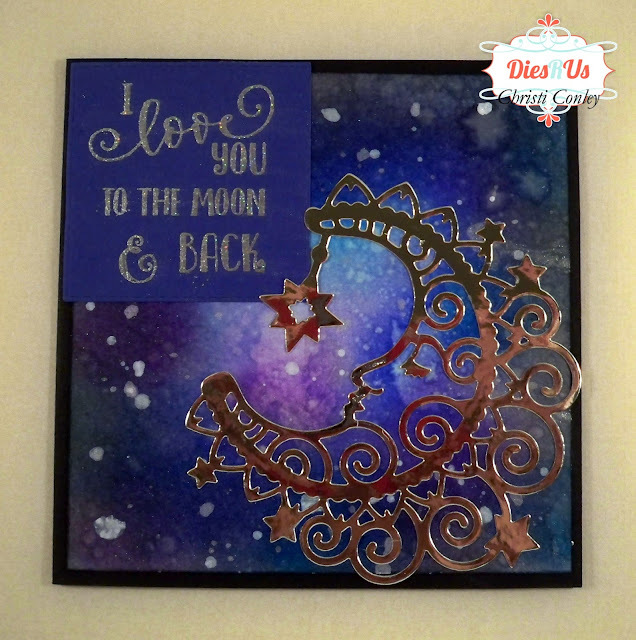 But, I had a blast making this card and trying something new! 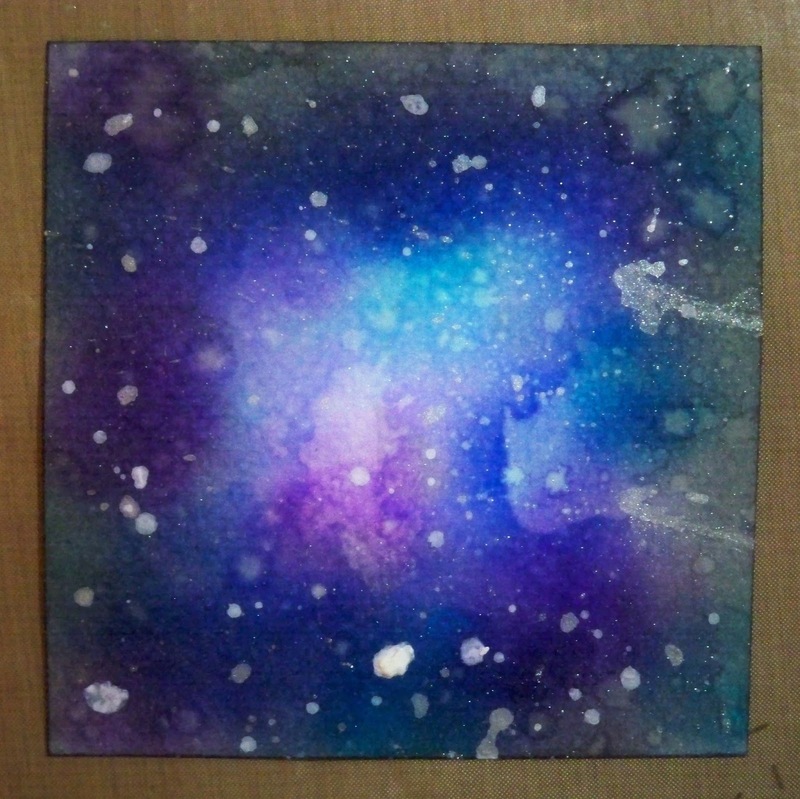 I've seen so many "galaxy" cards on Pinterest lately, I thought that this would be a perfect time to try one. Black Square Card Base, 5" x 5"
The first thing I did was make the background. In order to make the inks look "galaxy" like you start off with the lightest ink, pounce it a few times around your paper and follow with your next darkest ink and so on. There are many, many videos out there to help you - I actually used 3 different videos, and used what I had on hand. I didn't take pictures of the very beginning of the galaxy (sorry! ), I was so preoccupied I completely forgot. 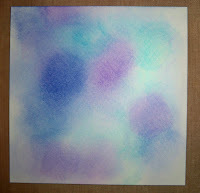 But, here is where my watercolor paper was looking at about step 3.
make them darker. The more variation of color the better your galaxy is going to look. As I said, I used the ink colors I had on hand (I still don't have every single Distress Ink) and improvised. 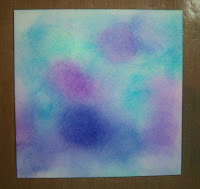 Instead of watered down white acrylic paint, I decided to use my Twinkling H2O's. These paints are amazing watercolor paints; they shimmer so much! I used a toothbrush dipped in the H2O paint, and splattered the galaxy with a few different colors. And here is my galaxy. I also threw some water on it at random times. I love how it came out, except (isn't there always an exception?) on the right hand side, but, that's no big deal because my die cut will cover that up. I must say, you improvised beautifully! 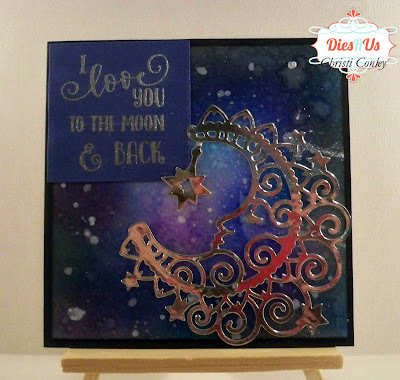 This is gorgeous and the moon was the perfect die to use! Great job and awesome inspiration ... thanks! Christi, this is fabulous! I love your solar background. The moon die cut in silver is perfect. Yes, it is a good time for this card! Gorgeous card !!!! Love this background ! what a lovely die cut and fantastic background. thanks for the tutorial, I am gonna try it! What a stunning card! The background is fabulous!